If you were hoping for fireworks in the closely-watched state Senate race between Arlington County Board member Barbara Favola (D) and McLean businesswoman Caren Merrick (R), you would have been sorely disappointed by last night’s Arlington County Civic Federation debate. The unofficial kickoff to the general election campaign season lacked the audacious, back-and-forth recriminations of the 31st District Democratic primary. It did, however, set the stage for a clear battle of ideas in a race that could have significant repercussions in Richmond. 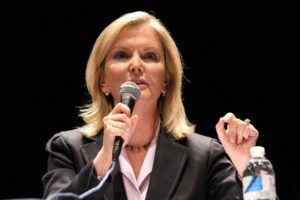 Repeatedly, Merrick cited her business experience and argued that she was the stronger candidate on jobs and the economy. 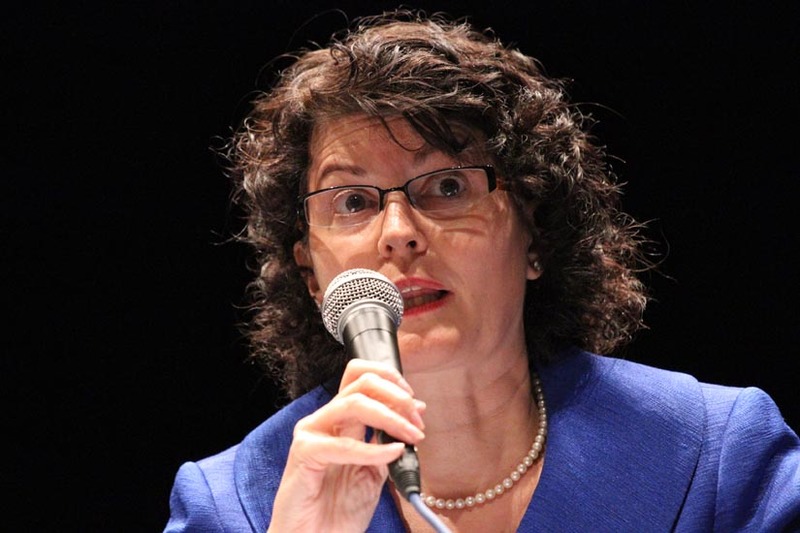 Merrick stayed clear of hot-button topics like abortion and gay marriage in her opening and closing statements, but Civic Federation questioners pressed the issue. Favola and Merrick both said they supported increasing transportation funding, but differed in terms of how to pay for it. Favola further differentiated herself from Merrick by talking about the role of government. Favola warned that a win by Merrick in the Democratic-leaning 31st District could jeopardize Democrats’ slim majority in the state Senate. Last night’s debate also featured 30th state Senate District candidates Del. Adam Ebbin (D) and Tim McGhee (R) and 32nd District candidates Janet Howell (D) and Patrick Forrest (R). While Ebbin and McGhee stuck closely to the issues and barely engaged one another, Forrest came out swinging against the incumbent Howell, saying that she has “not shown leadership” on issues like Metrorail to Dulles and rising tolls on the Dulles Toll Road.